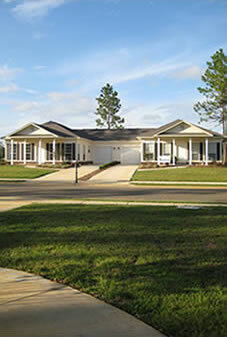 Spanish Fort AL Homes for Sale. Stylish new Duplex Homes for Sale: Starting at just $109,000, MUST SEE!!! Finally, a new affordably priced neighborhood development for sale in Baldwin County, Alabama's Eastern Shore area! Located in Spanish Fort, and just a 5-minute drive from the Eastern Shore Centre & surrounding restaurants, retail & conveniences. Churchill Downs, located in the Spanish Fort, AL is a new development consisting of two and three bedroom duplexes, with prices ranging from $109,900 to 129,900 for Phase 1 reservations. This innovative project is listed by Realtor® Michelle Beckham of Bellator Real Estate. 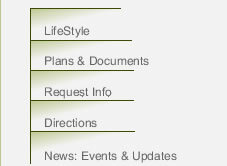 If you have a Realtor® you are working with, please have them contact us on your behalf. 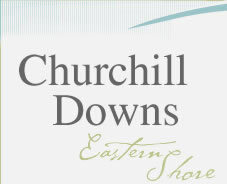 Churchill Downs is located on Highway 31, approximately four miles north of the Eastern Shore Centre. Homes are built & ready for you today. The first of two construction phases has begun, consisting of 46 units. Contact your agent, or Michelle today for a list of pricing & availability. Created with the notion of relaxing on the porch, enjoying southern breezes, and getting to know your neighbors, Churchill Downs homes represent a new concept, which offers individuals the opportunity to accelerate their dreams of owning a home and achieving their ideal lifestyle. “The developers are offering a very contemporary selection of colors, architecture, and overall design in these units, which may establish a new trend for homes on the Eastern shore,” said Michelle Beckham, listing agent for the project. “The duplex homes are very well designed with only a center garage wall being shared. The center garage wall concept was a very unique & compelling concept by my estimation” sais Michelle. “And the vertical vinyl with brick exteriors are a beautifully contemporary design. I am very impressed that Churchill Downs will offer a design that is elegant, while still affordable,” Beckham added. As an added convenience, the Home Owners’ Assocation dues will cover lawn maintenance as well as homeowners’ insurance. “The developers have even upgraded all units to include smooth ceilings & high-end amenities like granite counters, tile or wood floors are now optional in all homes,” said Michelle. “In addition to the lifestyle of a family-oriented community with a substantially reduced commute to work, residents will benefit from finally being able to purchase a beautiful home with elegant look & feel at an unmatched value - Today."